Got these beauties not too long ago! 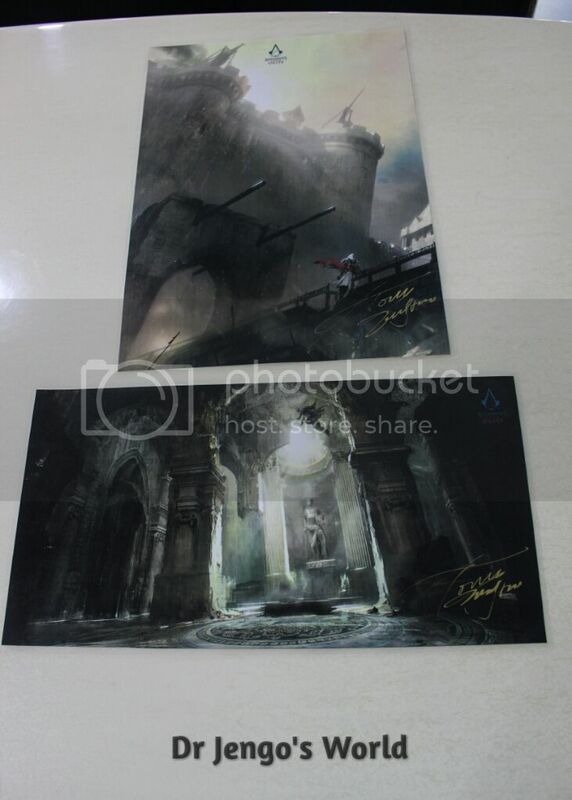 2 laminated pieces of Assassin's Creed Unity Concept Art by none other than Tony Zhou Shuo himself. Tony is a well-known concept artist & illustrator whose work for Ubisoft's Assassin's Creed have been featured many times, including several Art Books. 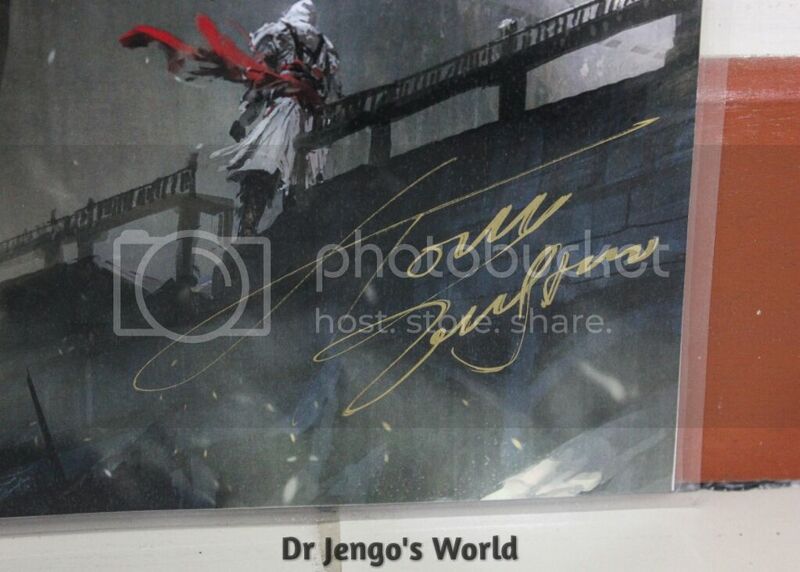 From my sources, these laminated & signed pieces were given out in a business meeting with Ubisoft Singapore. 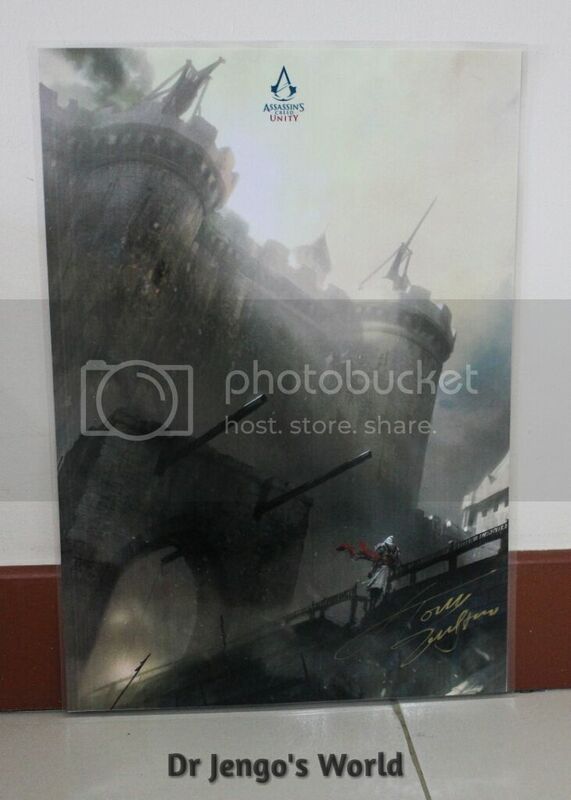 Actually received this piece back at Ubisoft Singapore's Charity Jam, last year but this one is laminated and signed. So, definitely worth a purchase! 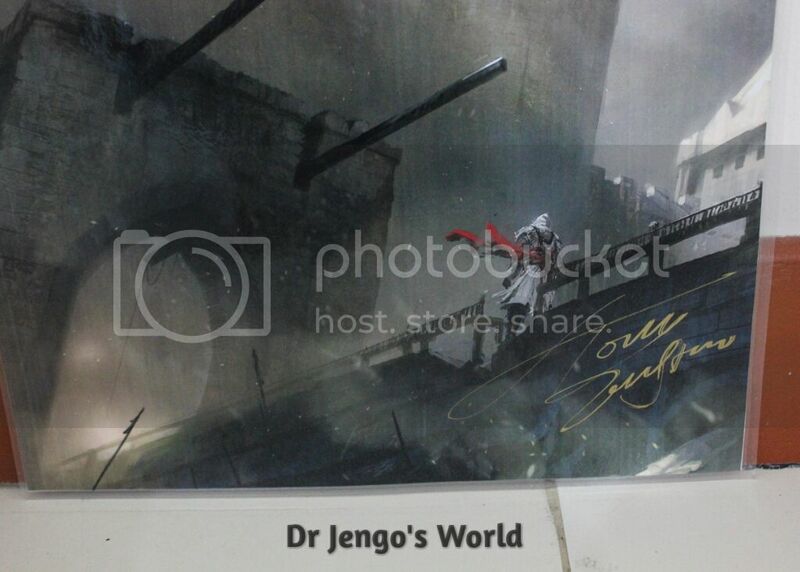 Usually, I don't rate signed pieces from random sources. 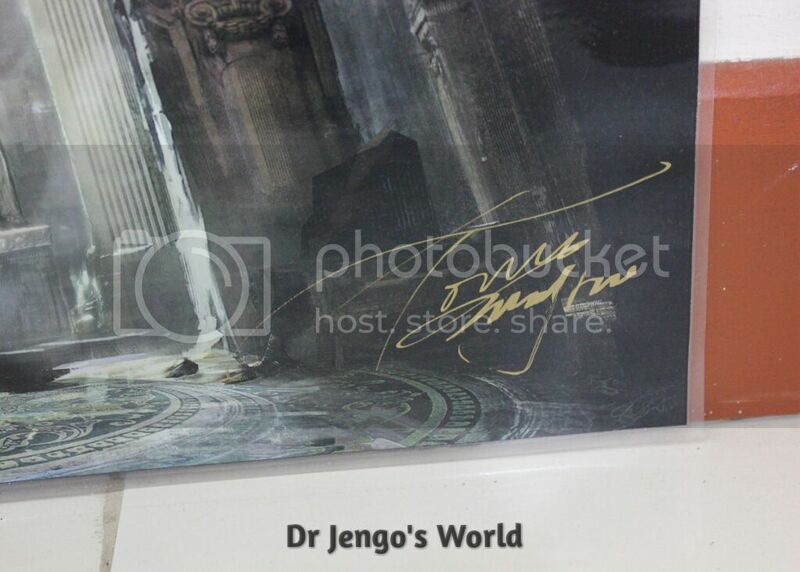 To me, a signed piece should be something you receive in person. I am lucky enough to own a few pieces that I have got personally signed by the 'person-of-interest' and those will always be very special memories. That said, I got nothing against buying signed pieces from others and here's where I have made an exception myself, because of how close it is to home. 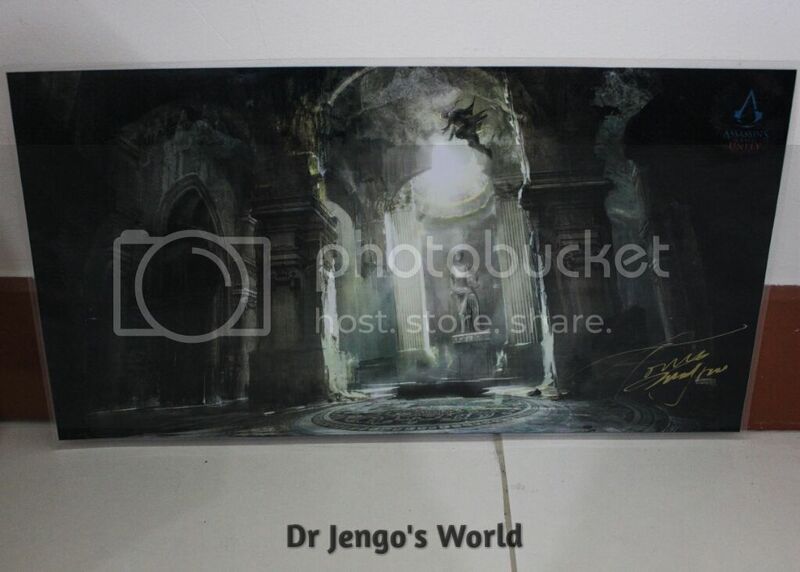 Always love a special collectible from Ubisoft Singapore!